Vauxhall Corsa 1.4 Energy 3dr [AC] Auto 2019 Review | What Car? What Car? will save you at least £2,851, but our approved dealers could save you even more. 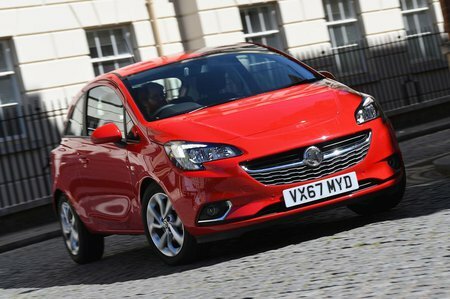 The Vauxhall Corsa is keenly priced if you choose carefully, but it's outclassed by newer rivals in most other areas. The Volkswagen Polo and Seat Ibiza are the most rounded small cars on the market, but if you want something that's great fun to drive, it's also worth considering the Ford Fiesta. Alloy wheels, the 7.0in infotainment system and air conditioning feature on this mid-spec trim. We reckon it's the pick of the Corsa range. The 89bhp 1.4 engine doesn’t have a turbocharger, so needs working hard to get the best from it. If you can, pay a bit extra for the 1.4i Turbo 100. However, this engine is your only choice if you want an automatic gearbox.